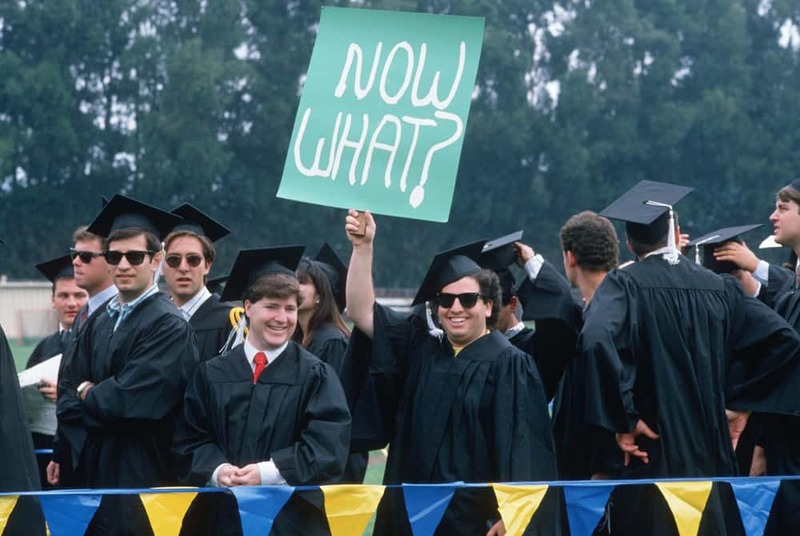 Are you stressing about what your teenager’s college major is going to be? If you’re worried about your child not picking the right college major, you must ABSOLUTELY watch the video and read the blog post below! In the video I interview Jane Horowitz, who is a phenomenal career-launch coach for college students and new college grads and the founder of More Than a Resume. Jane has championed college students and young grads in their job searches across the country, who have had majors as diverse as engineering, fine arts, computer design and banking. Jane has made a measurable and lasting difference in college students’ lives, which is why she is my go-to person on careers for young Americans and the professional whom I ALWAYS recommend to parents. In the video, Jane shares her professional take on the debate about college majors. In most cases, the career expert says, what is infinitely more valuable than selecting a particular major is developing valuable skills in college and identifying them so graduates will gain an advantage in the job market. Below the video is an article that Jane wrote that includes a blueprint that college students should follow to boost their chances of finding that first job. The job market has never seemed so forbidding to college students. It takes guts, determination and planning to graduate with a great job in a career you want. Whether you know what you want to do or not, your plan starts freshman year. I’m not, however, talking about declaring a major. Your plan should be to improve your chance of finding a career suited to your education and degree, talents and interests and a job that fires you up, engages you on a deep level, and makes you feel alive. The more you learn about possible career paths, the easier your transition will be from college to career. Get involved. Freshman orientation week bombards you with information about clubs and organizations. Investigate and join on-campus organizations that provide opportunities for you to develop skills, make connections outside the classroom, and when the time is appropriate, lead activities to achieve goals. Assess yourself as an individual. As a freshman, you get to reinvent your high school self. What am I good at—my talents and hard won skills? Values are your compass. What are my values? Don’t think majors. Think skills and job functions. 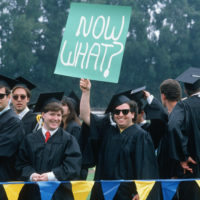 Economists and business leaders do not know what jobs will be available when you graduate. The world of work is changing so rapidly. However, they can reasonably predict which skills employers will value and the essential functions needed in the workplace. Take courses to attain and develop these competencies. It’s time to take control and focus your academic and extracurricular efforts and interests. You majored in what? Ignore those critics. Not everyone is cut out for a STEM-based major and career and for most, there’s no linear path that takes you from a major to a career. Art history majors become palliative care doctors, history majors become SEO specialists and philosophy majors become lawyers. Declare a major that aligns with your interests and develops valued workplace skills. Focus on a few vs. many things. Students, especially the success-minded ones, take on too many commitments. They think the more things they fill their resumes with the better. The problem with this strategy is, if you try to do everything, you’ll be good at nothing. Employers look for job candidates who demonstrate command of a skill and show leadership. Master the informational interview. One of the best ways to learn more about a potential career path is to talk to people who are actually living your career. Find a mentor. Faculty advisors, professors, school administrators are important relationships but are academic vs. work-focused. Your school may have a formal mentoring program that matches students with an appropriate mentor, most likely alumni. You want a mentor connected to the career field you are exploring. Meet with a professional in the career services group and with someone in the alumni relations group. Build your brand. Your major/degree is not your brand. Your GPA, is not your brand, nor is your school. Craft your personal story. You want to be memorable as a whole person, and convey why an employer should care about you and what value you bring beyond skills and functions. This is the story of you—-a real person who knows what s/he does and why s/he does it. It’s a unique way of describing yourself to people who don’t already know you and informs them about your fit with the organization. Create and practice your response to ‘tell me about yourself’. Write a keyword, action verb, accomplished-based and personality-rich resumé and make sure it’s applicant tracking software (ATS) compliant. Yes, you need a cover letter. Get experience. It’s time to give up the camp counselor job and get an internship. Internships are an essential part of the college experience. Internships provide you the opportunity to test-drive a career field, make contacts, build marketable skills and figure out your likes and dislikes within specific fields and cultures. Today’s graduates without work experience will stand little chance of securing a job after graduation. Getting that internship—as competitive as getting a job at graduation. Get into good physical and mental shape. You probably have some work to do to get back in shape. You do need to be concerned about the impression you make on job interviews. Employers fairly or un-fairly make quick judgments about job candidates based on how they look and how they dress. Schedule classes during standard business hours of 8:00 or 9:00 to 5:00 to get accustomed to feeling mentally ready to think, converse and do at this time of day. Big dreams are great. If you don’t create space in your life for making progress toward them, then they’re fantasies. Turn a dream into a plan and work the plan to land your first professional job. Develop a job-search plan. You really do not want to leave launching your career to chance. Understand what is it takes to find a job in today’s job market and develop a targeted plan with goals, daily/weekly tasks and deadlines to work to your way into the companies on your list. Start your job search early. Landing a job in today’s market can take quite time. You have nine months from now until graduation. Between completing your coursework and planning for graduation, you have little time to search for a job unless you build it into your schedule. Plan and use this time wisely. Be sure to attend career services sponsored career fairs and your department’s networking events. Take any opportunity to meet employers who are looking to hire young talent. Offers for accounting, engineering, management training, consulting, financial sector positions go out by December of you senior year. Most other positions are filled as needed. It’s not always who you know, but who knows you. Networking is NOT about you. It’s about building a relationship with people who want to connect for mutual benefit. Even when starting a career it’s about finding out what someone else needs and helping them get it—being a resource in any way that you can. Finding your career and getting a job in that career is a process you can’t leave to your senior year. Taking the time to create and work your plan nets the results you want. Why You MUST Use Net Price Calculators! I loved this article, Ms. Horowitz-thank you for writing it. In addition to your wonderful self-assessment questions, it could be great to ask, “What problem(s) would I like to solve?” That could really help students think creatively about their future work.